Wolfgang Violin Studio redefines how classical music is taught through an integrated program created with the input of Singapore’s award winning international violinist, Min Lee. As program director, Min has compiled her years of experience to create a comprehensive program that blends the development of technique with the cultivation of musicality. Wolfgang Violin Program is the first step students will take on their journey towards a complete musical education. This original curriculum is designed to build both a solid foundation in the violin technique and to nurture the musical child. With a dedicated team of full time teachers who specialize in teaching the violin, Wolfgang Violin Program is designed to unleash the imagination of every child and adult, encouraging their creativity through the magical world of classical music and its colorful history. Using a progressive yet fun methodology that piques the interest of young learners, the program aims to inspire violin students to carry on their love affair with music for many years to come. The name "Wolfgang Violin Program" is a tribute to the world’s best-known and best-loved violin prodigy - Wolfgang Amadeus Mozart. With 3 outlets at UE SQUARE, TEMBELING CENTRE & THE CENTRE POINT, Wolfgang Violin Studio is where modern and progressive meet the classical world. Stepping into the studio, students are greeted by a vibrant dash of color and style. From the candy swirled impression of Mozart on the wall to inspirational quotes from Einstein, the studio combines modern baroque and pop art influences in each of the classrooms and throughout. With violin lessons for everyone from age 3 years to adults, the program immerses young learners in the exciting world of classical music. Using our own prelude program to create an overall appreciation for music and theory, students of all ages are also given a strong foundation in technique and repertoire. The Wolfgang Violin Studio specializes in setting students up correctly right from the start, making classes fun yet effective. Min has been hailed by the International press as "Singapore’s poster girl of classical music". Luminaries like Ruggiero Ricci have proclaimed her talent "more than remarkable...unbelievable." Min started playing the violin at the age of two and gave her first public performance at five. She was eight years old when she won the Best Performer Award at the National Music Competition of Singapore. A year later, she left Singapore to further her musical studies at the University of Michigan with Professor Stephen Shipps. At the age of 11, she started working with Professor Vaclav Snitl at the Prague Academy. Min made her debut with the Singapore Symphony Orchestra when she was 12 at the inaugural President's Young Performers Concert. 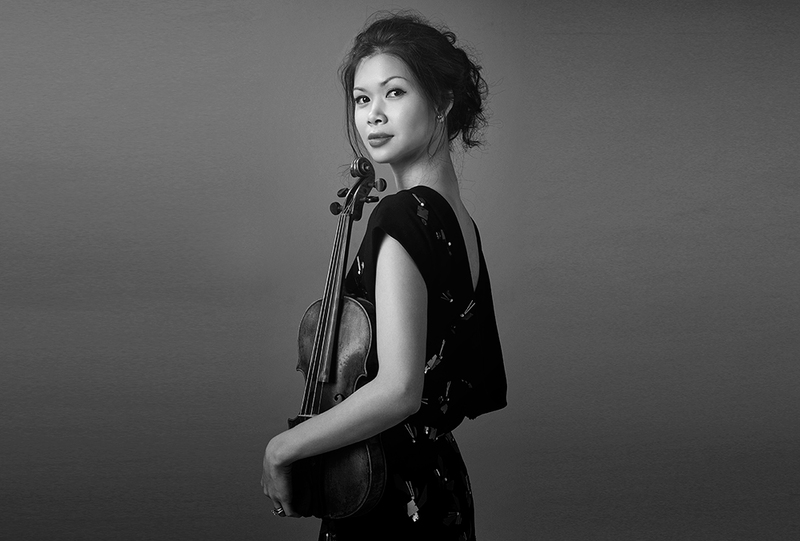 At the age of 14, Min enrolled at Yale University where she was schooled by the late, eminent violinist Erick Friedman, himself a protégé of Jascha Heifetz and Nathan Milstein. She graduated from Yale with a Masters in Music in 2000. In that same year, she made her London debut at the Wigmore Hall followed by Performances at the Royal Festival Hall with the Royal Philharmonic Orchestra. Since then, she has blazed a trail performing at the forefront with some of the most prestigious orchestra in the world. Recent appearances include concert performances with the Philarmonia Orchestra of London, Royal Philharmonic Orchestra, Vienna Chamber Orchestra, Prague Chamber Orchestra, the NHK, Singapore Symphony Orchestra, the Academy of St Martin in the Fields, San Diego Symphony, Prague Radio Symphony, Auckland Symphony and the Russian National Orchestra, under the baton of highly acclaimed international conductors such as Charles Dutoit, Vladimir Ashkenazy, Peter Oundjian and Mikhail Pletnev. Min has also released 2 albums under the Universal Label: Debut Wieniawski with the Royal Philharmonic Orchestra and Tchaikovsky/ Prokofieff with the Philharmonia Orchestra (London) and Vladimir Ashkenazy. graduated in 2010 with a Masters in Public Policy. She got married that year and is now a mother to a four-year-old boy. Annie Lee is the mother and mentor of the child prodigy Min Lee. She placed the first violin in Min's hands at the age of two. A pupil of the late pedagogue, Mr Goh Soon Tioe, Annie developed violin pedagogy over her 12-year stay in the US and Europe. She has more than 30 years of teaching experience and has created successful violin programs in Methodist Girls' School, Nanyang Primary School, Rosyth Primary School, and CHIJ Kellock, and Paya Lebar Methodist Girls' School. A good teacher teaches ‘what’ you do. The Wolfgang Studio’s teachers teach as a team. Technical and musical development of students are shared at weekly Teachers conferences and unified by the Wolfgang Programs designed by program director Min Lee.